Lucia Gahlin is an Egyptologist who has always been fascinated by the history and culture of Egypt and her neighbours. Over the last 25 years she has lectured at a number of different British universities, has worked at the archaeological site of Tell el-Amarna as the Small Finds Registrar, and has worked at the Petrie Museum of Egyptian Archaeology in London as Amarna Archaeological Research Data Administrator. She has been a consultant or contributor to a number of documentaries for the BBC and independent production companies (Discovery Channel, Channel 5, the History Channel US and Living TV). 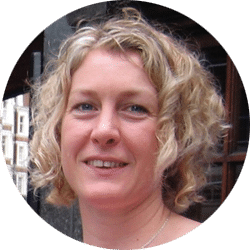 Her undergraduate teaching has been for the Universities of London, Bristol and Warwick, and her continuing education teaching has been for the Universities of Exeter, Bristol, Reading, Surrey, and London. Lucia has been successfully leading tours to Egypt for the last 25 years, for educational touring companies. Lucia is passionate about exploring and explaining the Pharaonic, Graeco-Roman, Coptic and Islamic sites of Egypt. Her lecturing style is considered enthusiastic and inspiring, as she brings the history and culture of Ancient Egypt to life. Lucia is author of popular books on Ancient Egyptian religion, such as Egypt: gods, myths and religion; and more academic chapters in books such as The Egyptian World edited by Toby Wilkinson. She has served as a Trustee of the UK’s Egypt Exploration Society and is currently Chair of the Friends of the Petrie Museum and Co-Director of Bloomsbury Summer School at University College London, a provider of short courses on the Ancient World. She lives in England, but travels widely to lecture, including 3 lecture tours in Australia. Lucia joins ASA in 2019 for the tour Egypt Explored: Across the Ages, from Alexandria to Abu Simbel. Gahlin, L. 2001. Egypt. Gods, Myths and Religion. Bath: Anness. Gahlin, L. 2007. ‘Creation Myths’ & ‘Private Religion.’ In T. Wilkinson (ed.) The Egyptian World. London: Routledge.